Being a "good Christian" means being a "good worker", right? Aren't believers exhorted in the New Testament to "do their work quietly and to earn their own living" (2 Thes. 3:12; all biblical quotations taken from the NRSV)? At the outset of my remarks, I want to fully affirm the importance of work within God's created order. Nonetheless, I'm posing here, in the form of an informal reflection, a question that a number of able theologians are exploring today more systematically: How does the labor-capital relationship that obtains in late modern Western society square with the good news of the Kingdom which Jesus enjoined us to seek first (Matt. 6:33)? 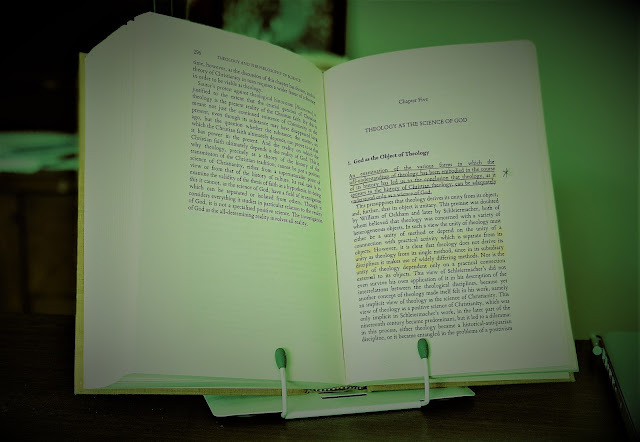 With the recent three-day weekend, I had a little extra time to reflect upon the Labor Day holiday, and since I was also preparing this blog post for my good friends at DET, I was trying to find a way to interject some theology into this reflection. I'm kind of a grumpy sort, and would be inclined to agree with St. Augustine's interpretation of Genesis 3: Labor is punishment for the fall (City of God, XXII 22). Still, I am glad to have a day job, and I pray swift relief for my friends who struggle with unemployment or underemployment. 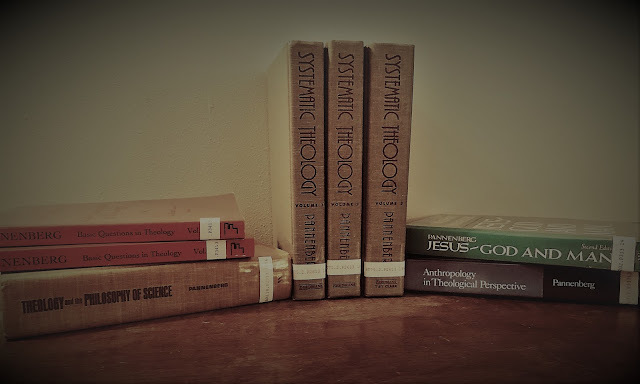 The basic problem I have with "thinking theologically" about labor, in the context of early 21st century North America, stems from the common root that spawns all theological enigmas – namely, the nature of God itself. For our thoughts about "labor" inevitably presuppose the "free"-market or mixed-market economies of the emerging global village; yet the God of Christian confession turns out to be just about the worst capitalist in the history of the world. (Incidentally, I believe the notion of a “free” market in the current global economy is a pipe dream). If you still trust the U.S. Government at all – just remember, after all, you built it! - check out the quick refresher on the history of Labor Day here. This holiday – which, apparently, is still celebrated in the Wisconsin state house in letter, if not in spirit – emerged from the struggles and triumphs of the labor movement in the late 1800s. At our Episcopal parish this past Sunday, the celebrant led a prayer that workers would receive a "just wage." His prayer reflected the spirit of the fine collect at the top of this post. Jesus urges his apostles to travel light and to depend upon the hosts who receive their kerygma, for the laborer deserves to get fed (Matt. 10:10). But just what constitutes a "just wage"? I for one wouldn't look to the U.S. Congress to help me answer this question: If their guidance counted, I would expect, let's say, that increases in the national "minimum" wage would keep pace with increases in Congressional salaries. Karl Marx infamously argued that just wages are intrinsically impossible because the capitalist system as a whole is predicated upon the exploitation of the proletariat and the alienation of workers from the fruits of their efforts. His basic solution to this problem, as we find it succinctly laid out in The Communist Manifesto, is for all workers internationally to unite and take back the means of production from the owners of capital, the bourgeoisie, thereby abolishing the wage system. I'm not an economist or social theorist, and I don't have an easy solution for the problem Marx poses. Certainly, I would note, it is possible for compensation to be relatively just or unjust. Indeed, precisely because of the work of organized labor in decades past, the working conditions and benefits most for wage earners in the U.S. have improved markedly in the past century. Marx's basic observation about the intrinsic injustice of the wage-labor structure does spur me to thinking, oddly enough, about the Kingdom of God which Christians purportedly “seek”, whatever that might mean. Might Jesus' kingdom proclamation have anything to say about labor and the modern wage system as we know it? Consider the parable of the landowner and laborers (Matt. 20:1-16). The details are familiar: A landowner hires a first group day laborers at dawn and they work a full, exhausting day for an agreed-upon sum. Then he goes out four more times throughout the day to hire some less motivated workers. The first group, of course, expect to get more at the end of the day than the others, but all workers receive the same amount. So they, the dawn-to-duskers, quite understandably, grumble: "‘These last worked only one hour, and you have made them equal to us who have borne the burden of the day and the scorching heat’" (v. 12). The landowner gives an astonishing response to one from the original group: "Friend, I am doing you no wrong; did you not agree with me for the usual daily wage? Take what belongs to you and go; I choose to give to this last the same as I give to you. Am I not allowed to do what I choose with what belongs to me? Or are you envious because I am generous?’ So the last will be first, and the first will be last” (vs. 13-16). Now, I think, the most typical way of reading this parable is that it reveals the scandal of divine grace, a grace through which "publicans and sinners" have equal access with the law-abiders (perhaps even preferred access) to the bounty of the kingdom. The parable thus gives a vigorous critique of a quid pro quo economy of religion. As such, the story is aimed at the conventionally lawful and righteous, especially those with an underdeveloped capacity for mercy and compassion. I accept this theological interpretation, which is radical and odd enough in its own right, if only we heirs of the Reformation hadn't done so much to domesticate it. Still, what if we imagined this scenario also as a critical response to aspects of our own socio-economic situation? So the first are last: But is it really the all-dayers who come in last? After all, they get that for which they contracted. Take a closer look. Who comes in really dead last in the parable anyway? It's the landowner himself, of course – though, granted, he does so willingly. He gives each set of workers a full day's wage though he gets far less than a full day's effort from the vast majority of the workers. He is operating at a great loss. You don't need a MBA to see that this isn't a smart way to run a business, much less an entire economy. If we assume the day wage is about what each worker would need to survive, then the parable seems to envision a kind of primitive communism: Each gets what he or she needs, regardless of what he or she is able to contribute. How might all this speak to us today? Consider the growing gap between the rich and poor in the United States. Capital is increasingly concentrated into fewer hands, middle class wages stagnate and the middle class find it harder to maintain the decent standard of living that they have come to expect. In a climate of increasing scarcity for all but the wealthiest of the wealthy, who is it that often gets much of the blame in much of our civic discourse? Of course there are protest movements on the order of Occupy Wall Street, but so often it is the poor, the recipients of food stamps, the undocumented immigrants who are scapegoated for our socio-economic ills. This is not just personal prejudice, I would argue, but a structural element entailed by the concentration of capital in such few hands, and it results in a kind of class warfare – mainly of the vulnerable among the middle classes against the poor. Jesus' parable imagines the kingdom as a realm in which the landowner gives all away, and, presumably, he's not going to own too much in the end. We might read it as a kind of kenotic capitalism, perhaps. Once this happens, any basis is dissolved for a sharp distinction between the Have-Somes and the Have-A-Lot-Lesses. All is gift. Everyone gets a day's wage. I don't know possible it is to even envision such an absurd socio-economic reality in this Darwinian world of ours, much less instantiate in some sort of concrete program. But perhaps those who are attuned to the Gospel might learn how to read what partial signs and parables of the kingdom might be available right now in our midst.